Gerpex Multi-Layer Composite Pipe (MLCP) and Press Fittings are the optimum solution for modern plumbing and heating projects, offering all of the advantages of both plastic and metal pipes with none of the disadvantages. Compared to copper the system offers faster installation time due to the flexibility of the pipe and fewer joints reducing the likelihood of leaks. Against plastic systems Gerpex offers lower thermal expansion together with a high quality press fitting solution. With a definite press of each fitting the system will give more confidence to the installer, developer and client than push fittings. The Gerpex system can be used in both traditional branch plumbing and point-to-point plumbing in conjunction with Emmeti manifold systems. It is suitable for use in both the domestic and commercial projects and is fully WRAS approved for use in hot and cold water supplies to 10 bar and 95oC. For branch plumbing the Gerpex system includes both high quality metal Press Fittings and Compression Fittings to form the joints in junctions of the pipe. This method of installation is suitable for both hot and cold water systems and wall hung radiator projects. Installation on site is extremely fast compared to copper and stainless steel systems due to the reduced amount of joints required. Joints can be replaced in some situations by bending the pipe to suit the route taken which will cut down on installation time and fitting costs. Once bent the pipe retains its form so will stay in the desired position. 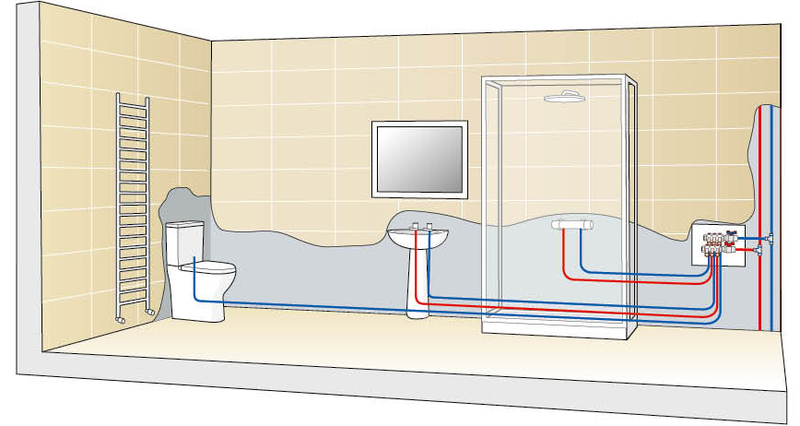 Point-to-point plumbing for hot and cold outlets using Gerpex MLCP and an Emmeti TopSan manifold system. 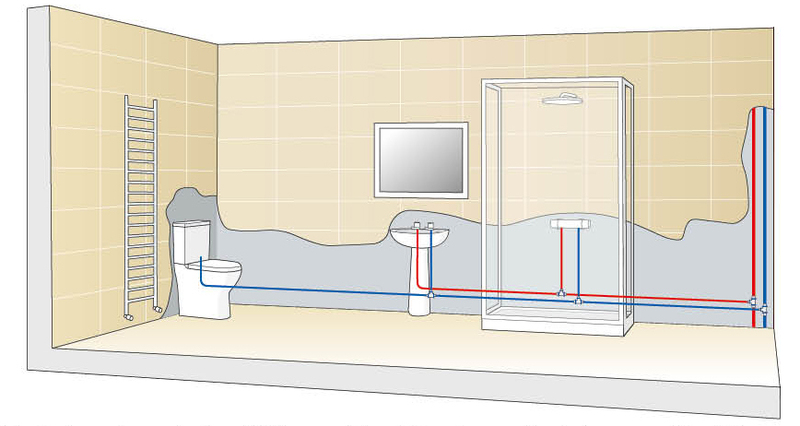 Point-to-point plumbing is a method of installation using a manifold to distribute water to hot and cold outlets around the property (such as washing machines, sinks, baths, dishwashers, and so on) or to heating systems such as radiators or underfloor heating. Each individual outlet is supplied using a continuous length of pipe from the manifold, with joints at the outlet and at the manifold only. This method of application eliminates all concealed intermediate joints in the system and by including a manifold allows for individual isolation and/or full electrical control (heating only) at each outlet in the event of any repair work or maintenance. Our range of Monoblocco connectors allow connection to the manifold while our MLCP to copper compression fittings allow for the transition between Gerpex and copper compression. Reduced installation time due to the flexibility of the pipe. Installation on site is extremely fast compared to copper and steel systems due to the reduced number of joints required. The pipe can bend readily making the routing of the pipe around the building very quick and easy. Once bent the pipe retains its form so will stay in the desired position. The Gerpex pipe has linear expansion characteristics similar to copper and far superior to polybutylene and polypropylene, saving you time and money during installation by reducing the need for additional expansion considerations. The product is light compared to copper or stainless steel and our 16-32mm sizes are available in coils up to 500m which are easier to store and transport compared to copper tube which is generally supplied in bundles of 30m. A 200 metre coil of 16mm pipe weighs only 20kg compared to copper which would be 56kg making Gerpex much easier to move around on site. Minimal tooling is required to work with the Gerpex pipe, all that is required is a set of pipe cutters or shears, a calibration tool to prepare the end of the pipe and a press fit machine to complete the pressing process. Gerpex Press fittings are quicker and easier to install than soldered joints meaning that hot works and the need for hot works permits are eliminated. The process is also a lot cleaner than soldering which makes press fit the ideal solution for sensitive projects such as hospitals or laboratories etc. Copper pipe is generally supplied in 3m lengths, Gerpex pipe 16-32mm typically comes in continuous coils of 50m or 100m reducing the number of joints required and saving you money due to less wastage. 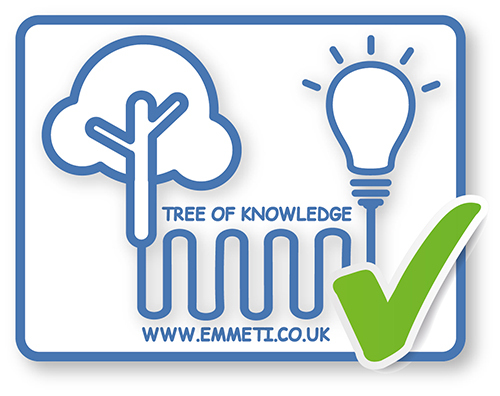 Coils of up to 500m are available in 16mm to minimise wastage on large projects. The Gerpex Press Fittings are produced at our main plant in Italy from high quality brass with a double o-ring design for that extra peace of mind. Gerpex is competitive in material price to copper pipe but with many additional installation benefits saving you time and money. We offer a comprehensive range of Gerpex products available with next day delivery to branch or site. Prices are stable compared to copper and stainless steel which fluctuate with world-wide commodity prices. The pipe is very durable so can be installed early in the build program, giving you flexibility around planning on site. When compared to copper and stainless steel the smooth interior surface of Gerpex pipe promotes the smooth flow of water thus considerably reducing pressure drops across the system and minimising running noise reducing maintenance requirements giving you a more comfortable living environment. Gerpex has a lower thermal conductivity than copper meaning that insulation requirements and unwanted heat loss are minimised. Our high quality Gerpex pipe and fittings are made in-house in our dedicated factories in Italy. Gerpex products are subject to stringent control checks in our purpose built analytical laboratory which are carried out before, during and after production from the raw material analysis through to the finished product performance checks. You can specify Gerpex pipe and fittings with total confidence. Gerpex has WRAS approval for sanitary applications and a maximum operating pressure of 10 bar at 95oC making the product suitable for a wide range of applications. The Gerpex Press Fittings are produced at our main plant in Italy from high quality brass with a double o-ring design for that extra peace of mind. The fittings are far more robust than plastic and composite alternatives. By specifying this system it allows you to add value to the project with an improved method of installation over traditional metal pipes. This will optimise time on site whilst selling confidence to the client with ease of maintenance and increased comfort. The Gerpex pipe has linear expansion characteristics similar to copper meaning that you can design in a similar way when using Gerpex, there is no need to make extra allowances for expansion. 16, 20, 26 and 32mm Gerpex multi-layer composite pipe used for supplying radiators and hot and cold water services around the property, together with Gerpex Press Fittings and Multiplex sanitary manifolds. Emmeti FMU2 manifold, controls, 16 x 2mm AL-PERT pipe and tacker clips used for underfloor heating and 3⁄4” Modulo compact zone valves to provide 4 separate heating zones across the property.